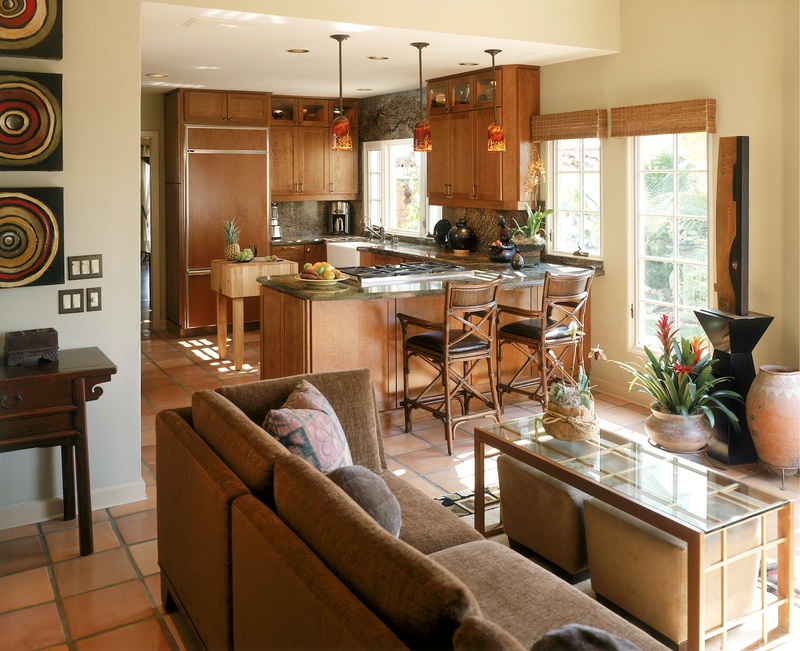 Homeowners and guests can relax in this casual yet sophisticated space while cooking commences in the kitchen. San Diego interior designer Jim Walters has incorporated soft modern furniture from his Home Retreat Collection, including the Shangri-La Sectional and the Shoji Table harboring two Ease Ottomans. 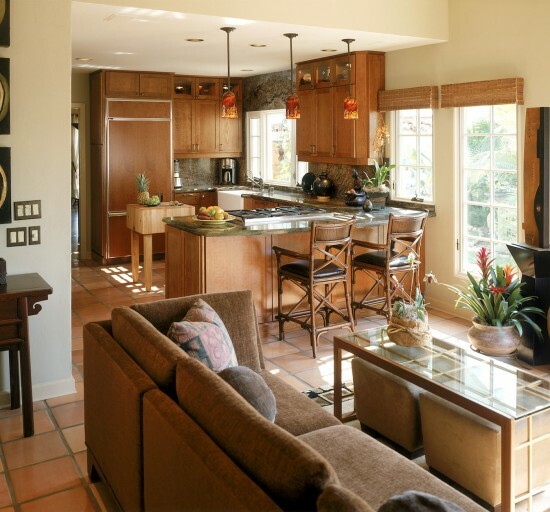 "Bronze detailing brightens light fixtures, cabinet hardware, and tile accents."